Chcete si procvičit angličtinu, probrat zajímavá témata a najít nové přátele mezi rodiči z řad cizinců, kteří se v Praze na nějakou tu dobu usadili? 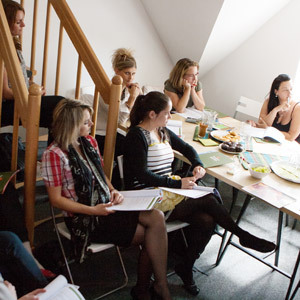 The purpose of the club is to connect Czech and Expats parents and create place where we can share experience and discuss interesting topics in English. It will be opportunity to find new friends and enjoy your free time in nice environment while there is taken care of your child by professionals. The meeting will be in open friendly atmosphere over a cup of tea/coffee. Later on we would like to invite guests to talk about interesting topics and give you chance for self development. On the first meeting we will talk about your interests and topics for next activities.